School is back in session with this fun and vibrant paper collection! School Is Cool has all the perfect images for the school year - everything from school buses to bookworms! 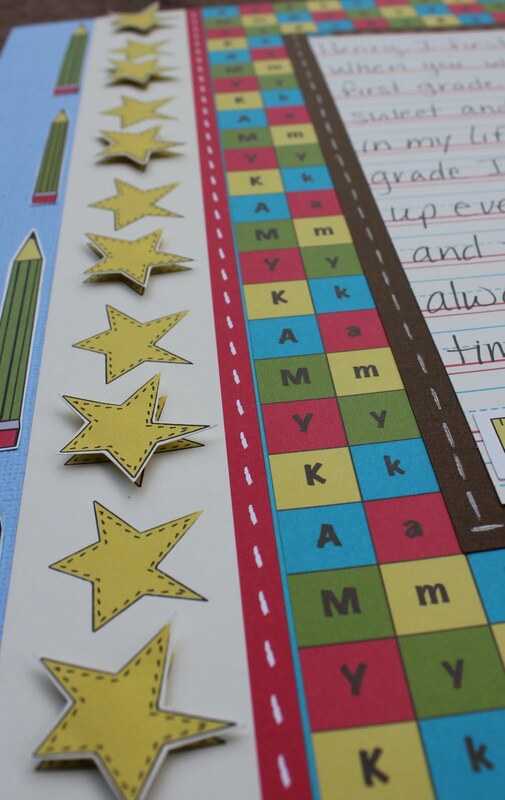 You can use this whimsical paper collection for all the students in your life, whether they’re little ones starting Pre-K or high schoolers counting down to graduation!! You’ll love “School Is Cool”! If you live in a family of “monsters” then this is the perfect paper collection for you! There are big monsters, little monsters, boy monsters and girl monsters so you can recreate your own family of monsters. 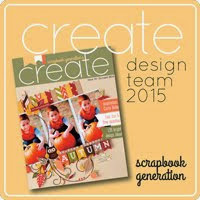 The color palette is great for both boys and girls with the bright red and deep teal. You’ll love “My Lil’ Monster”! This may be my most favorite paper collection to date! “Get Well Soon” is filled with everything from band-aids and a stethoscope to the cutest little germs you’ve ever seen! Snap a picture of your kiddo’s cast with all his or her friends’ autographs on it, or create an adorable get well soon card for a friend with my “Get Well Soon” paper collection. You might want to even play “hooky” so you can stay home and play with “Get Well Soon”! Whoo doesn’t love owls? We love to tell the “stories” of our lives with these larger than life animals! “You’re a Hoot” has owls of all makes and models, even one ole’ owl with a flowerpot on her head! 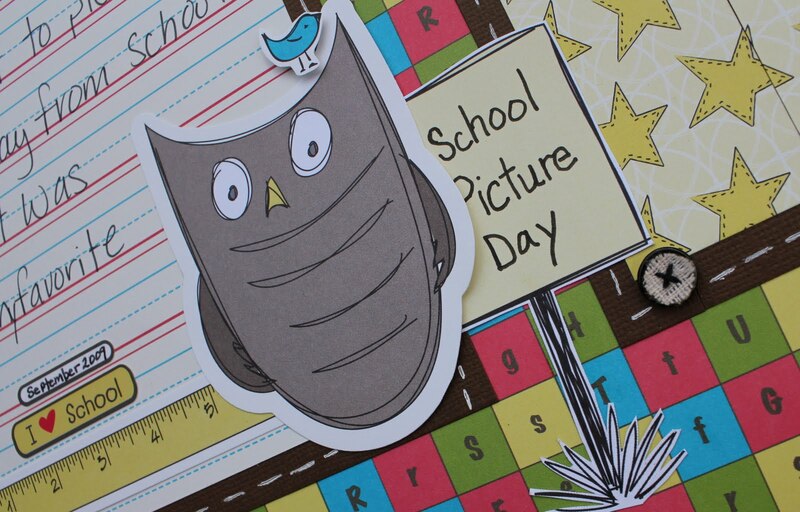 You’re a Hoot is filled with bright fall colors and dressed for the t”r”ees! I love Christmas and my “Gingerbread Land” is filled with all the holiday magic you can imagine! Gingerbread boys and girls along with the cutest gingerbread house ever! 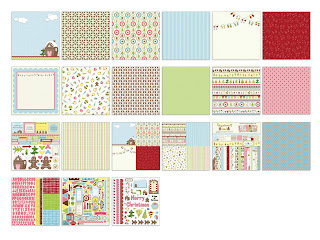 This paper collection has bright pinks, greens and blues with fun “Seuss” like trees. You’ll find everything you could ever dream if you lived in “Gingerbread Land”, the sweetest land around! That's it, all 5 of my new Fall/Winter paper collections! creating them! I had so much fun with these collections! before they even hit the stores! Good Luck and thanks for taking a peek! oh i NEED them all--they are way too cute! Love all the new lines! So bright en colorful! Your your samples! Can't wait to start creating with it. Ohhhh, you did great. I will post when I get home from work, but wanted to let you know how I love your new collections. I don't have a blog to post to but love your new collection!!! Love all the new collections!!!! Thanks for the GREAT chance Nikki! WOW, you've done it again! Love the new lines. Can't wait for Xmas, that Gingerbread theme is stunning! Love them! I think I'm going to need the Get Well Soon and the Gingerbread Land! Adorable collections!! I think that Little Monsters and Give a Hoot are my favs! Keeping my fingers crossed that I might win!! I love the chance to win!!! Please pick me! Please pick me!!! I'll be a good girl!!! Love your new collections!! Thank you! See my blog! First blog post EVER! I love Get Well~amazing work. I will need them all !!!!! OH I just LOVE Gingerbread men! What a fun release. I love them all! Here is the link to my blog post. Looks like something fun is on the way........ Congrats on your new collection! I don't have a blog, but LOVE this collection! Oh my gosh! All of these are SO cute! but I just love those lil Monsters the most! I know that my 2 little monsters will enjoy themselves with those papers! Love them all but I think School Is Cool is my favorite! Thanks for the chance at a great giveaway!!! here Thanks for a chance to win! i love them!!! especially the get well!! there's never get well stuff out there! I posted on my facebook because my blog site wont let me post. I am not sure why but I will keep trying. Thank you for the chance to win, I want your paper so bad but I cannot find it anywhere locally! I keep trying to get the LSS to carry your lines so I can buy them! I don't have a blog, can I still enter?? LOVE Gingerbread Land!! I don't have a blog...boo hoo. But I love them. Especially the mosters! The big lipped one is too much!! I love all collections, they're so cute! 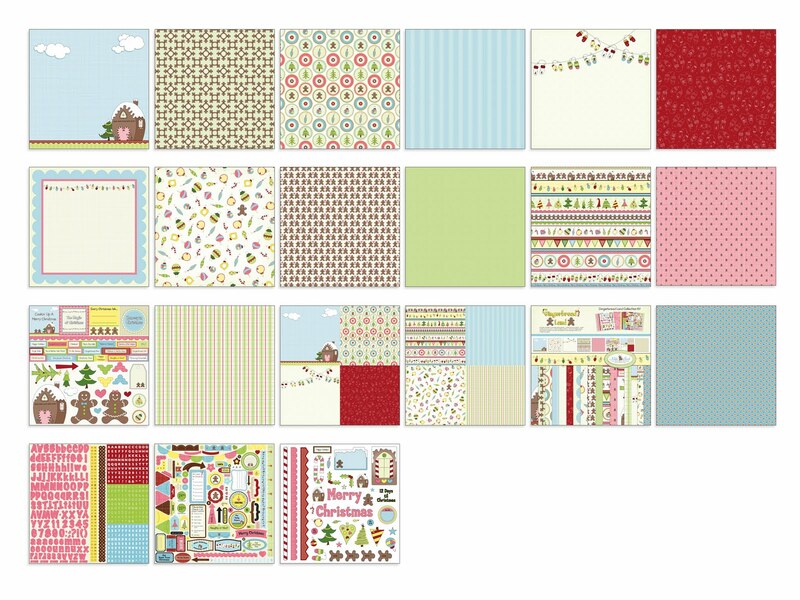 My favourite is the Gingerbread Land as the story is so classical and I like the colourway. I've posted on my blog http://diwarli.blogspot.com/2011/07/nikki-sivils-new-papers.html about it all. thankyou for the generous oppurtunity! These are all great but I have a real soft spot for the owls. What fantastic lines and I love your LO's! I posted it to my blog! Love the new collections, Get Well will come in handy shortly! Thanks for a chance to win these cute collections! Your new releases are amazing. I don't have a blog to post on but just wanted to let you know how impressed I am. Looking forward to when we can get them in our hot little hands!!!! Thanks for sharing. These new collections are fantastic! I love them all. I absolutely love My Lil' Monster and You're a Hoot! 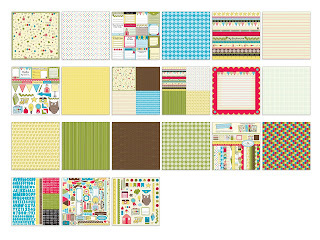 I posted about your release at http://createwithamy.blogspot.com/2011/07/nikki-sivils-cha-release.html . 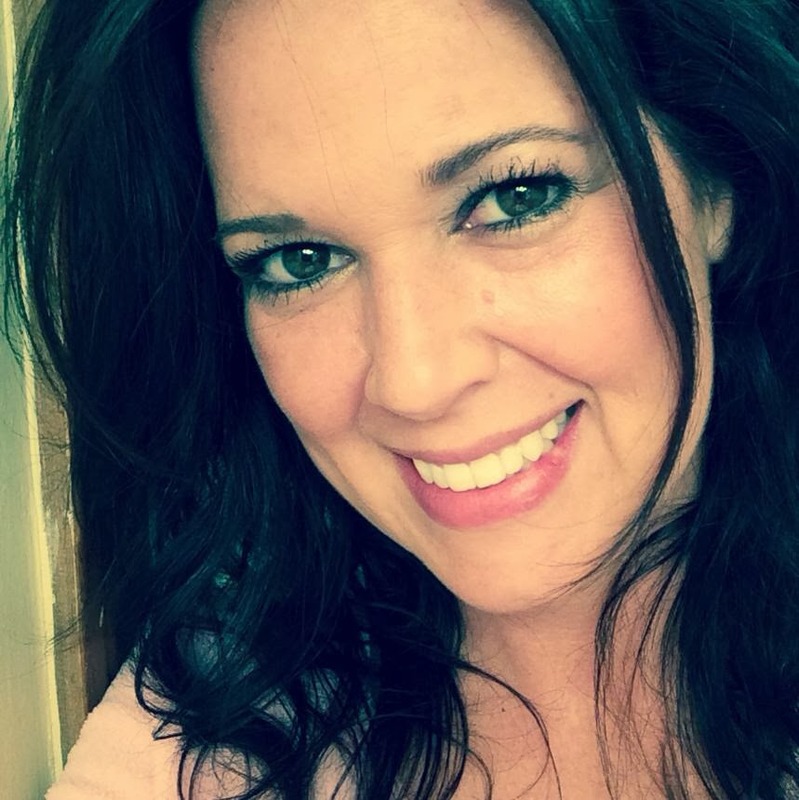 Thanks for a chance to win your awesome new lines! Such an awesome new collections, can't pick a fave yet, but if I really had to it would be "you're a hoot" but like I said, they are all sensational ! WOW, SO NICE! Could be so much fun to get it! Loving them ALL!! Another Awesome Collection!! I don't have a blog, but I will post it on my FB page just to let other's know!!! Great collections, I really love the Gingerbread land. All of the lines are great! Can't choose one that I like more then the others! I WANT THEM ALL!!!!! I am so excited with Nikkis' new CHA releases. As always. I am sure they are as workable and as versatile as your previous releases. Thank you for the opportunity to win these yummy goodies. Just posted on my blog!! Thanks for such an awesome giveaway! These are great collections and I love the projects you created with each of them! Adorable collections! I just love how whimsical they all are!!! Can't wait to see them in person! I posted this in my sidebar!! Nikki, these are wonderful! What a super fun release!!! I can't wait to see these in person! You've knocked it out of the park! Love all 5 new lines but Gingerbread Land is my favorite. I posted about it on my blog. All the new collections look great, Nikki! My favorite is Gingerbread Land - I love Christmas too :) :) Thanks for the chance to win! What wonderful new lines! I especially like the owls! I don't have a blog but would love a chance to win! I love love love the Give a Hoot line. 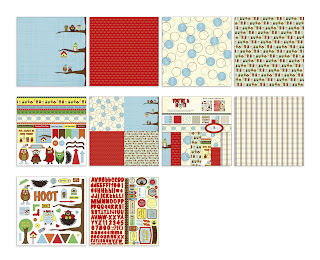 I have a new love for owls and I can't wait to get my hands on this line. wow! Those are all gorgeous! Can't wait! Congrats on a great line! Hey congrats on the new lines! I`ve posted on my blog too! What cute, cute papers! Thanks for the chance to win! Don't have a blog to post to but I posted to FB AND Twitter! Hi everyone.... Nikki has advised us that if you don't have a blog, you can post this to your Facebook or Twitter account and still be in the drawing!! Good Luck! Oh my goodness! I love them all, and am ready to scrap with them! I'm sharing them with my FB friends right now! These collections are simply BEAUTIFUL!!! Congrats On an amazing job!!! My favorites are My Lil' Monster and You're a Hoot but I would LOVE to have them all!!! I'm posting on my FB page! Thanks for the chance!!!! Hey Nikki-Is that a Vizsla? 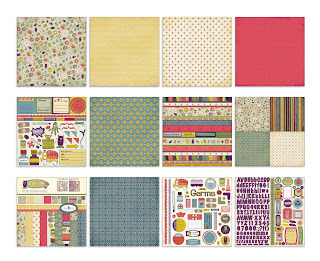 I don't have a blog but am telling my friends all about these wonderful collections. They are awesome :) I hope to win so I can have fun playing with them. Thanks for the chance. The collection is beautiful, I love the school is cool. I shared on my FB profile!! These new lines are too stinkin cute!!! Wow, these are just stunning - I NEED them all!! Thanks for the chance to win this amazing prize! Love, love your new paper collections!!!! Oh, oh... 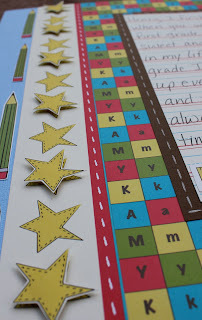 I can see more scrapbook yummies showing up on my scrapdesk. 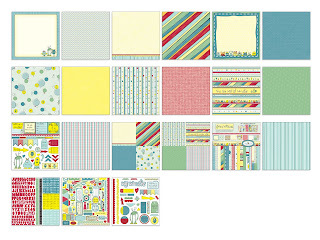 all the new lines are adorable.. i shared on my blog you can view the post HERE! Congrats Nikki!!!! These are absolutely AWESOME! I love them all with my favorite, You're a Hoot! I was so excited to see the lines today! Gave me the chance to post my most recent layout using My Sweet Cherry Pie and sing praises about your new lines!!! Thank you for the opportunity to receive all five awesome lines! I love all of these new collections, but Gingerbread Land is my favorite! I posted on my Facebook page! Thank you for the opportunity! indeed all line are cute. . .
Fabulous lines--love School is Cool!--and so generous!